Our prices are formulated by keeping in view the low budgets of students. We are well aware of the students’ economic condition. We value our customers and try our best to meet the standards of our customers in terms of quality and pricing. We are the best option for students looking for some reliable writing company with low prices. Our customers mainly consist of students and we make sure that our pricing is according to the pocket of our customers. Financial crisis has affected so many people and we have customers from all regions of the world. Our main priority is our valuable customers. 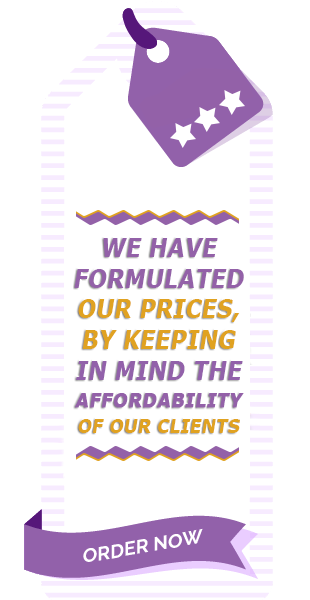 We have finalized our pricing policy by keeping in view the financial crunch. It’s very hard for students to avail the writing services which are beyond their reach but don’t worry we are under your approach. We provide 15% discount to our first-time customers. Moreover, you can also avail inexpensive seasonal offers with us. In short, we are inexpensive and we don’t compromise on the quality of the content. In short, you can get inexpensive and quality content at our writing agency. Our prices are just according to your paying power. Let’s avail the excellent writing services at very low rates!